In January 2016, the Powerball jackpot soared to a record-breaking $1.6 billion. The three winning tickets made Maureen Smith, John and Lisa Robinson, and Mae and Marvin Acosta not only the biggest Powerball winners but the biggest lottery jackpot winners in the world. As of June 2018, this still constitutes the largest Powerball or Megamillions lottery windfall ever. Here are seven lessons you can learn from how the three Powerball winners each handled their life-changing experience—just in case you hit it big. The first thing you should do is check on the rules in your state for claiming your prize because you don't want to miss the deadline. How long you have to claim your prize varies depending on whether you plan to take your prize as a lump sum or as an annuity. You should also see whether your state allows you to remain anonymous after claiming the prize, which would reduce the problems that come with becoming a lottery winner. Currently, six states including Delaware, Kansas, Maryland, North Dakota, Ohio, and South Carolina let Powerball winners stay anonymous, while other states offer ways for lottery winners to shield their identities. After that, you might be tempted to rush out and claim the prize as soon as possible. After all, once it's claimed there's no chance of losing the ticket or having it stolen. However, it's a good idea not to claim your prize too soon. You'll have things to get in order and decisions to make before you start. Two of the three January 2016 Powerball winners waited to claim their prize. Maureen Smith waited about a month while Mae and Marvin Acosta waited more than six months—saying they needed the time to assemble a team of advisers. On the other hand, John and Lisa Robinson went on the Today Show before they even claimed their prize, a reckless move that shocked experts. Although things worked out for the Robinsons, John admitted to being frightened to travel interstate when everyone knew he was carrying a ticket worth millions in his pockets. After you've verified your options for claiming your lottery prize, focus on getting solid legal and financial advice. Each of the three January 2016 Powerball winners did the smart thing and retained legal representation before stepping forward. When you are dealing with a multi-million prize, you need to have a team of professionals to help you sort out the best ways to maximize your earnings and protect yourself. At a minimum, you'll need a lawyer, an accountant, and an investment advisor who are familiar with dealing with windfalls. Some of the many challenges the Powerball winners faced—along with their team of advisers—included how to protect themselves from frivolous lawsuits and debtors, where to invest their money, how to handle requests for money from both reputable and disreputable sources, and how to set up charitable donations. First, you'll need to know what kind of financial adviser to use and how to interview an accountant. You'll also have to figure out the steps to take to choose a good lawyer. Powerball jackpot winners are given a tough choice—accept a smaller amount of money as a lump sum, or receive the entire amount of the jackpot spread out over 30 years. There are advantages and disadvantages to each choice. With the lump sum, you pay a large amount of taxes all at once, whereas with the annuity, you only pay taxes on the amount you receive each year. Receiving income each year makes it harder to blow through your entire windfall at once (though some lottery curse victims managed to do so by taking out loans on their future income). On the other hand, with proper investment, your lump sum could bring in greater dividends than your annuity might. In the case of the January 2016 Powerball jackpot, all three winners opted for the lump-sum payment. Maureen Smith said her age heavily influenced her decision. At age 70, she wasn't sure how many payments she'd see. Even though they're younger, the Robinsons agreed. "We’re going to take the lump sum because we’re not guaranteed tomorrow," John said. Before you make the decision yourself, be sure to consult with your advisers to make sure that you make the right decision for your situation. It's important (though excruciatingly hard) to keep your big win private. Although it's tempting to shout your news to the world, as soon as people hear that you're about to become a multi-millionaire, you become a target. Don't tell anyone outside of an extremely small circle of trusted friends, relatives, and advisers about your Powerball jackpot win. For example, Maureen Smith and her husband David Kaltschmidt kept going to work as usual after finding out they were going to be fabulously rich and didn't even tell their adult children they won the Powerball jackpot. Additionally, start thinking ahead about the image you're going to project when reporters and other interested parties start looking into your life. Experts suggest that you scrub your social media accounts—better yet, delete them altogether. Also, think about how you want to be contacted, because a lot of people are likely to be reaching out to you. Maureen Smith, for example, set up a contact at her law firm to respond to all inquiries and requests. Don't forget that not only are Powerball winners going to be in the limelight, so are the people they talk about publicly—so it's a good idea to be careful about what you say. During their press conference after claiming the Powerball win, Maureen Smith and David Kaltschmidt refused to answer several personal questions like what personal meaning the numbers they played had to them and details about their children. Meanwhile, Marvin and Mae Acosta were so careful of their privacy that they moved out of their home the day before claiming their prize and refused to speak with the press at all. If someone were to ask you what you would do once you become a Powerball winner, you might say, "quit my job" or "buy a mansion." But, the experts suggest that you don't make any big moves immediately. While winning a few hundred million dollars might make you feel like you haven't a care in the world, the reality is different—as these lottery curse victims could tell you. There are a few good reasons not to make a major change immediately. For one thing, people need structure in their lives and quitting your job and totally changing what you do with your life is difficult and jarring for most people. That might be why John and Lisa Robinson both planned to keep their jobs, despite their $327.8 million windfall. John said, "You can’t just sit down and not do nothing anymore. How long can that last?" David Kaltschmidt said he would retire from his job at Northrup Grummond, but that was already in the works. "We are not going to go party. We are still going to live the same lives," he said. The big purchase he was planning was simply replacing his broken-down truck. Powerball winners should also work with their advisers to set up a budget that ensures that their funds last. It's surprising how fast hundreds of millions of dollars can disappear if your money habits aren't sound. It's a good idea to use your lottery winnings as your seed corn and spend only the interest you get on your investments. It's natural to think that Powerball winners feel nothing but excitement after winning so much money. But, winning a huge sum of money has a lot of consequences, and not all of them are pleasant. Maureen Smith and David Kaltschmidt said that they were dreading the press conference and attendant publicity. David said that he had lost 10 pounds in the month since they found out they were winners, whereas Maureen said she was no longer in a quiet place and was afraid it would make her less friendly because of all the worrying. Meanwhile, John and Lisa Robinson said that they had been sleepless after realizing they were winners. "More stress comes with that ticket," Lisa said. After claiming their prize, things continued to be difficult for the Robinsons. They were the target of a frivolous lawsuit by a felon who has sued thousands of people in the hopes of getting a share of their cash and their names were used in a wide-spread Facebook phishing scam. On top of all of that, Powerball winners have to worry about people befriending them just for their money, being hounded by charities and people with sob stories, and the huge responsibility that comes with having that much money. Quick Pick or Choose Your Own? How Powerball Winners Pick Numbers. Many lottery players want to know whether they should pick their own numbers or use the quick pick option to have a computer randomly choose their numbers. Technically, the odds of winning should be equal regardless of which method you choose. The three winners of the 2016 Powerball jackpot bear that out. Two of the winners used the quick pick method, while the third, Maureen Smith, played the same numbers that she's been playing for about 30 years. Because neither way has a better chance of winning the lottery, pick whichever method is more fun for you. Which States Allow Lottery Winners to Remain Anonymous? 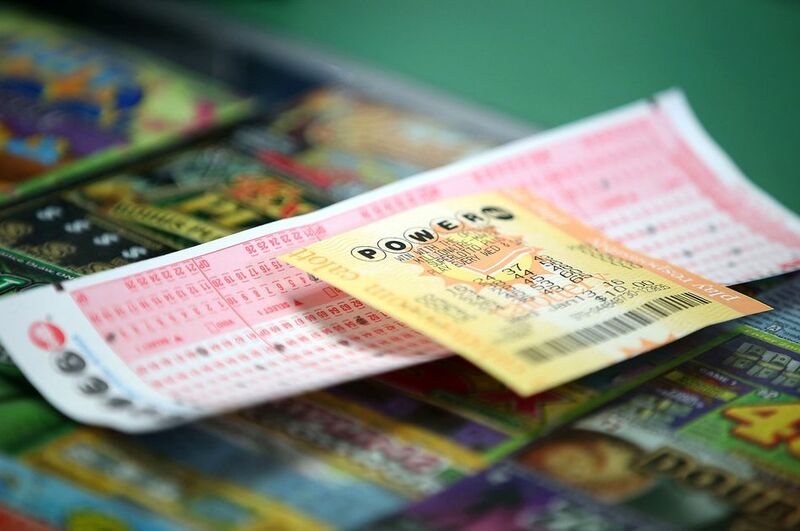 Should You Take a Lump-Sum Payment When You Win the Powerball Jackpot? Should You Quick Pick Your Lottery Numbers? Lottery Pool Problems: Avoid Hard Feelings - and Worse! 7 Lottery-Winning Tips that Really Work!